I’ve been an entrepreneur since the age of 8. For my 8th birthday, I negotiated a deal with my Dad to split the purchase price of a pony. He also agreed to buy hay, but I was to be responsible for everything else. Shortly after Thunder’s arrival, a neighbor offered me $50.00 to offer pony rides to the children at his son’s birthday party. And my first business was born. 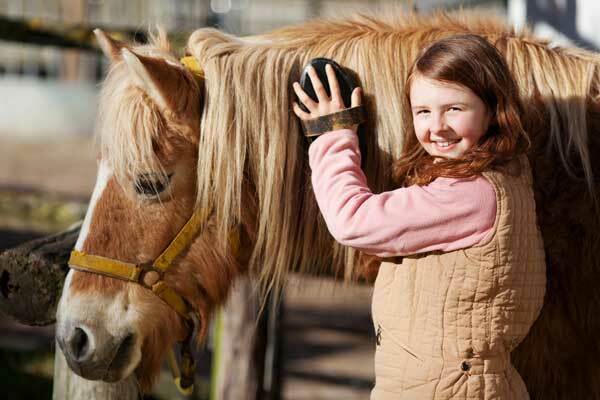 From there on, I offered pony rides and riding lessons on Thunder to keep him fed and healthy, and later earn money to purchase and show additional horses. Without planning on it, I was learning at a young age how to keep my calendar booked, market my services, and sustain my business by referral from satisfied customers. 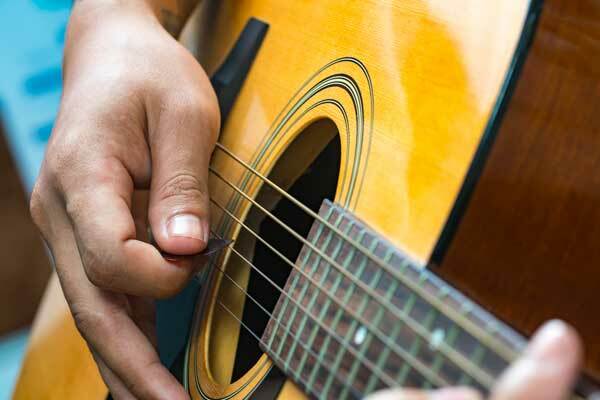 When I learned how to play guitar at 13, and needed to buy better guitars, sound equipment, and sheet music, I followed my ‘formula’ of sharing what I loved to support doing more of it. I began singing and performing at weddings, bars, coffee houses and restaurants, and continued my love of music during high school, college and graduate school. I learned to follow my heart and experienced the difference in feeling between doing work you love, compared to enduring a job for the money. And perhaps as importantly, I learned how to shape the situation I was in into what I wanted the situation to be, by using the path I was already traveling as the foundation and springboard for first discovering, then pursuing, new possibilities. Moving to Nashville, Tennessee for MBA school at Vanderbilt University, I expected to focus on the music business and learn about marketing and consumer behavior. Instead I was shocked to realize that just that year my MBA school had changed its curriculum, and was now focused on those funny-money accounting methods that would bring the American economy to its knees decades later. So I left MBA school, finding my way ‘across the street’ to the graduate schools of education and human development where I proposed my own programs of study for Master and Doctor of Education degrees. Combining courses in business, life-span psychology and group dynamics, I focused on the psycho-social context of ‘corporate cultures’, and helping people learn on the job and in training sessions. After assisting my professors serve their business clients, I began contracting my own, teaching supervisory and management development topics, and helping organizations adapt after mergers and acquisitions, and change through quality improvement and employee involvement processes, pushing decision making as low in the hierarchy as possible, in an effort to do more with less. My consulting world came to a screeching halt in the 90s as the textile and furniture industries I specialized in literally left the country after NAFTA was signed. I watched seven local client organizations close down. When my primary client (a Fortune 500 company) was sold three times in just 18 months, the writing was on the wall, and I was out of work. For nearly two years my husband Tim and I sent out hundreds of resumes to find academic positions, consulting projects or full time jobs. We believed that what had always worked, would still work. Tim was 52 at the time (and I was approaching 40) and he was running into age discrimination for sure, while both of us were viewed as budget busters at a time professional salaries were still largely dictated by years of experience and degrees. After exhausting our savings and 401Ks, and maxing out all our credit cards, we were down to one asset: the home we owned. What had always worked for us, clearly wasn’t working anymore. It was time for me to think ‘outside the box’ and come up with something new, anything, that would pay the electric and phone bills and keep food on the table. 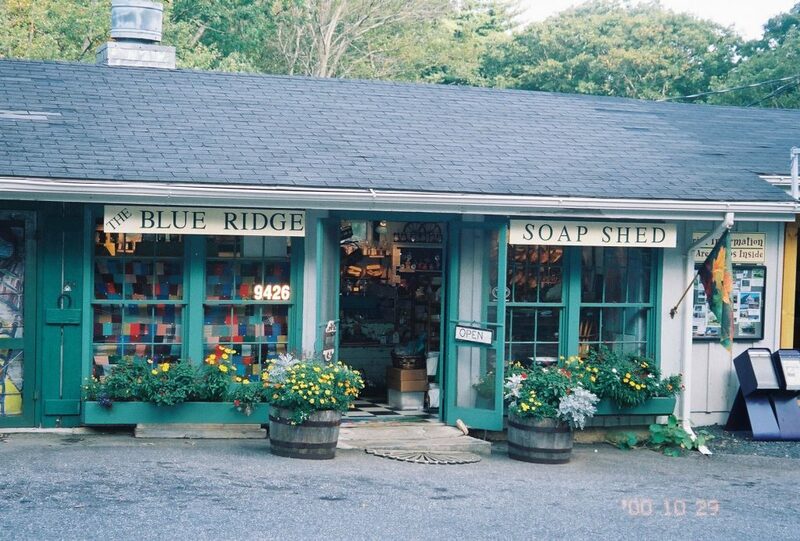 In 1998 I created The Blue Ridge Soap Shed, believing a seasonal, tourism-based business had a good chance of success in our rural, mountain environment. Located just off The Blue Ridge Parkway in a county several hundred craft artisans call home, we could use our own property mortgage-free. We looked at our lifetime of skills and what we could do – not just what we’d always done. I based The Soap Shed on who Tim and I were, from the inside-out, our lifetime of capabilities, and discovered my own model of building a successful micro-business not discussed in traditional business textbooks. I assumed I could create the product lines and marketing strategies, and that Tim with his 30 years as a science professor could create the soap formulas for the products I defined. 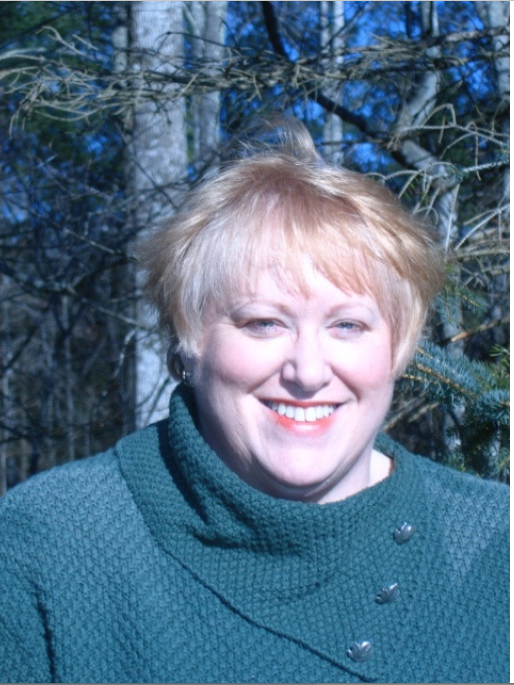 Because both of us were trained educators with strong interpersonal skills, I believed we could help customers identify for themselves the products they needed, and also demonstrate a handcrafted process for tourists to enjoy while visiting the Blue Ridge. Now in our 19th year of business, The Soap Shed continues to be a sustainable, viable business making 12 tons of handmade soap each year which we sell online and via our own seasonal retail shop. We succeeded by inching The Soap Shed along in growth, integrating it with our seasonal community, fitting well within our tourist region and rural location, maintaining a very tight ‘give and take’ with our customers so it would be clear what the next, best directions for expansion would be. This approach worked because the healthiest small businesses are aligned in all their important relationships…much like a healthy individual is balanced and in alignment with their Self, family, friends, work and society. And that’s the midlife business model I want to help you learn about too, so you can create a one-of-a- kind business that fits you and your lifestyle after 50. I focus on how to approach working during what were supposed to be our retirement years and explore how to generate finances for an extended life span; make choices that reflect your inner self and align with your heart and inner compass. Depending on your personality, skill sets, finances or family circumstances, you may want to consider whether you really want or need to create a business. The unconventional business models I understand well – because I live them – are perfect for putting yourself back to work. They are flexible and can adapt to family circumstances, aging and changing physical abilities, and finances. Whether you want to make or sell a product or provide services, we can identify what it takes to get started creating the business of your dreams at midlife, and managing it so it supports you and your family and provides the flexibility you need. My husband and I are fortunate to have built a successful business to sustain us into the foreseeable future. But with no family member interested in taking over our business, our transition planning focuses on preparing for the eventual shift required when one of us is temporarily or permanently unable to continue working and the effect that will have on each other, our employees and our customers. As a result, we're focusing on our resilience: our ability to cope with change. We are adapting our work styles, delegating more. We've increased our self care strategies, putting our health first. I have now built into most work days time devoted to expanding employee responsibilities through cross training and documenting our work processes, product lines and all 'the ways we do business around here.' I am creating a documented operations history for employees or the next owner to benefit from. Obviously none of us know what the future will bring. But I want to be as prepared for it as possible. And I believe by anticipating change we can have better control over our options as midlife business owners. Being 'blind-sided' is NOT one of them. I’d love to talk with you and hear about your midlife business! Just click here to schedule a no-strings-attached, complimentary Discovery session with me.